Another boating season is just around the corner and I am pleased to contact you in my capacity as the newly appointed Williams Jet Tenders Brand & Service Manager at Esprit Yachting. According to our records your Williams Jet Tender is due for it’s annual service. Complete engine service including the replacement filters, oil & spark plugs. Running of tender in our fresh water test pool with salt neutralising additive. Beyond the above our service division shall also make their recommendations for any additional repairs which we may deem due, this always after our proposal and your approval. Our team is at your disposal and is able to also carry out tube repairs, fibreglass chips, upholstery repairs and optional general cleaning and tender detailing including tube waxing. 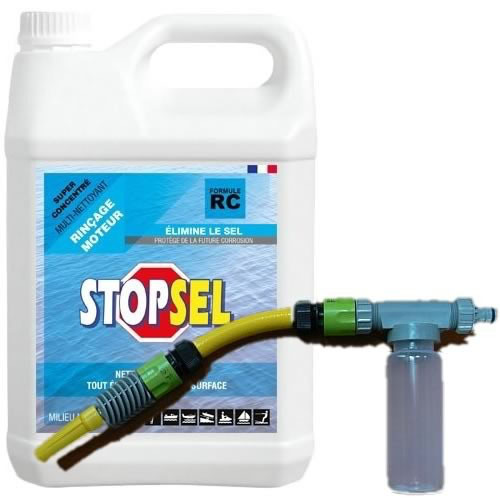 To ensure a trouble free summer we are also making available the Williams recommended Salt Water Neutraliser kits with easy connection to be used during the fresh water flushing process recommended after each weekend. Our service division keeps growing and with this a better service offering to our customers. 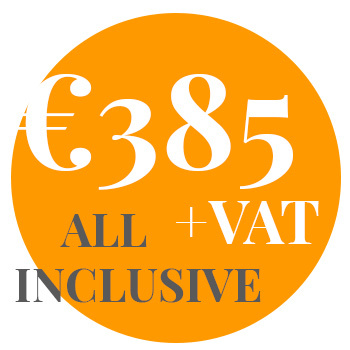 As your dedicated Williams Brand Manager please do not hesitate to contact me personally on +356 79446423 or sz@esprityachting.com. I would also be pleased to discuss any non-routine upgrades and improvements you may wish to retrofit to your Williams Tender. I look forward to hearing from you to schedule your service before the rush of last-minute bookings is with us. Esprit Yachting Ltd. - Official and Exclusive Sales and Service Centre for Williams Jet Tenders in Malta. 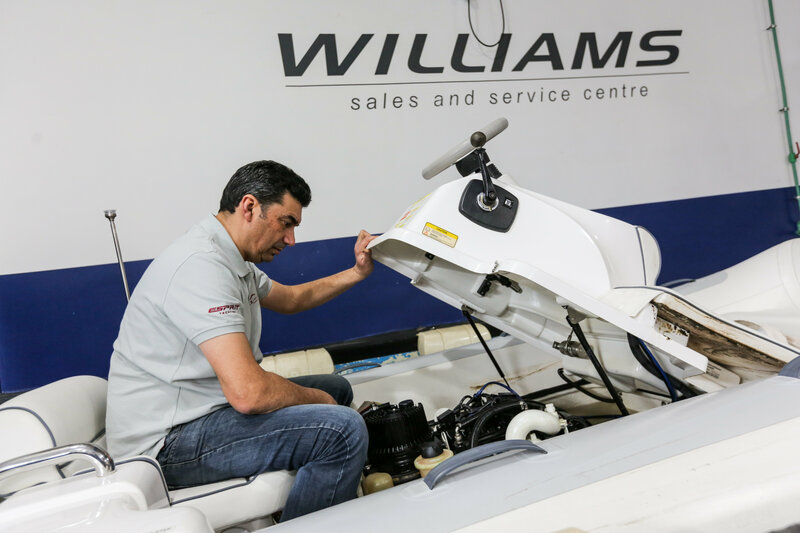 Recommended directly Williams Jet Tenders, this product and simple procedure ensures that your Williams Engine and Exhaust system remain free of saltwater deposits and internal corrosion. Just simply connect the container in-line to your water hose and flush as per the Williams recommended flush procedure. WILLIAMS SERVICE CENTRE - QORMI, MALTA. Esprit Yachting boats the only dedicated Jet Tender service centre in Malta. 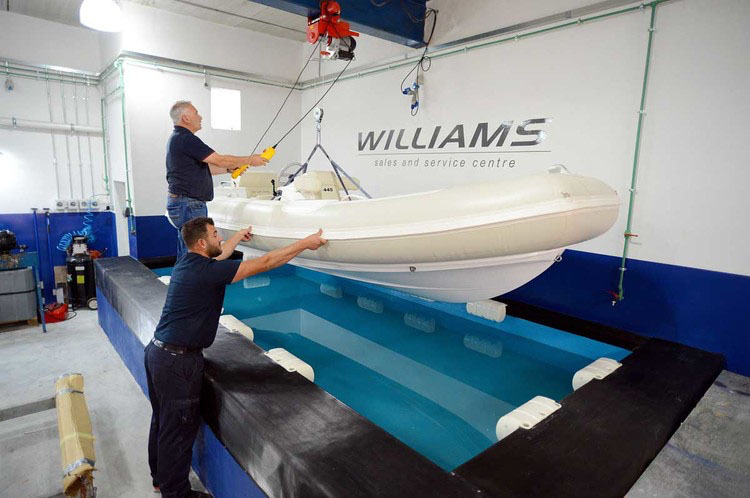 As the only Official and exclusive Williams Service centre in Malta our brand standard workshop includes a fresh water test pool for Williams tenders up to 5 metres with an overhead gantry hook up to 1T. Our technicians are trained and certified to service and intervene under warranty by Williams, Textron Motors (Weber) and BRP Rotax. As an authorised centre we maintain major components always in stock and guarantee a 48hr lead time for other components. SPORTJET 345 & 395 - SOON IN MALTA! Williams Jet Tenders have just announced their latest additions to the range, the Sportjet 345 and Sportjet 395. They have been created following a strict design brief based on years of customer and OEM feedback from around the world and our first units shall be delivered into Malta in May 2018. Configure your custom and perfect colour and style of your next Williams Jet Tender online and book a seatrial at our marina base at Marina di Valletta, Haywharf, Pieta, Malta. Copyright © 2017, Esprit Yachting Ltd / Strand Marine & Auto Systems Ltd, All rights reserved.